Product code: 8996 Category: Clocks & Watches. Size Choose an option7 in. Setup Charges :$80.00 per location. 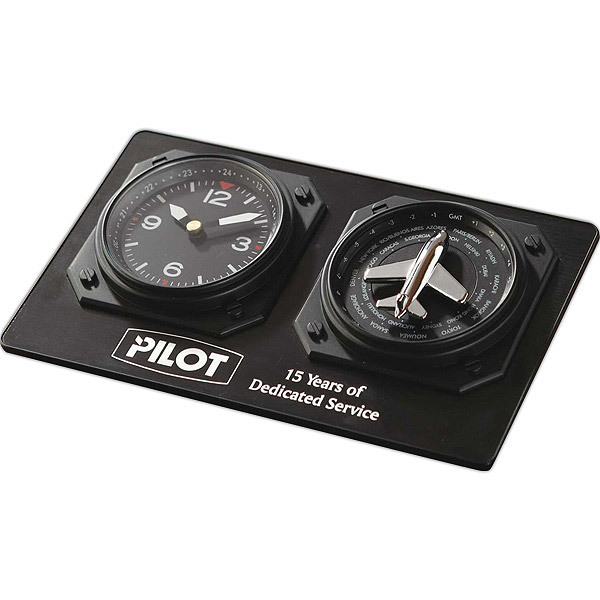 Pricing includes deep etching on one location* May vary according to product availability from supplier. ** Price subject to change without notice. 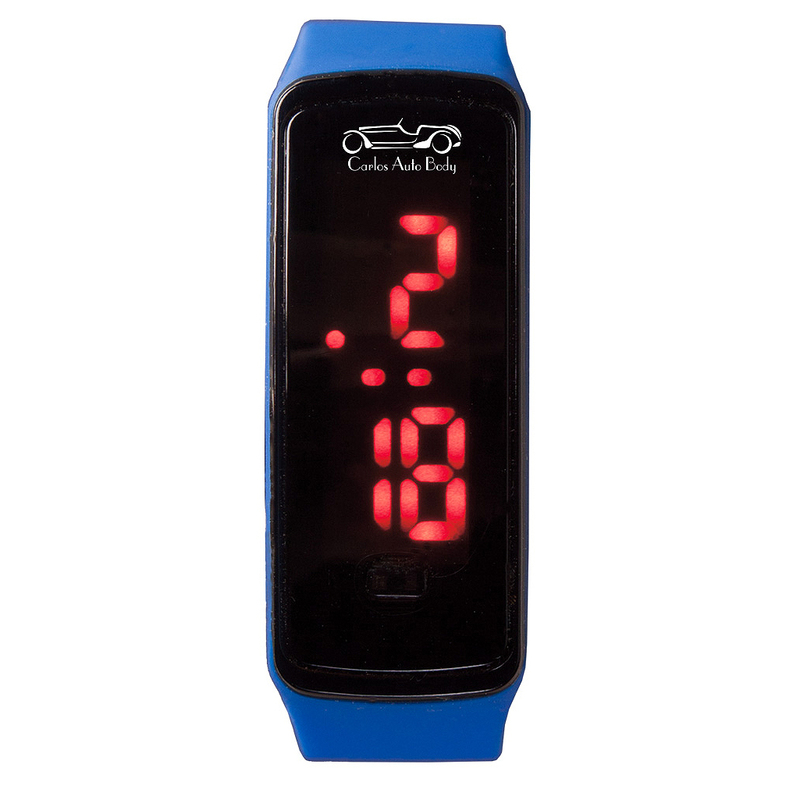 Ride the tech wave with this digital watch! 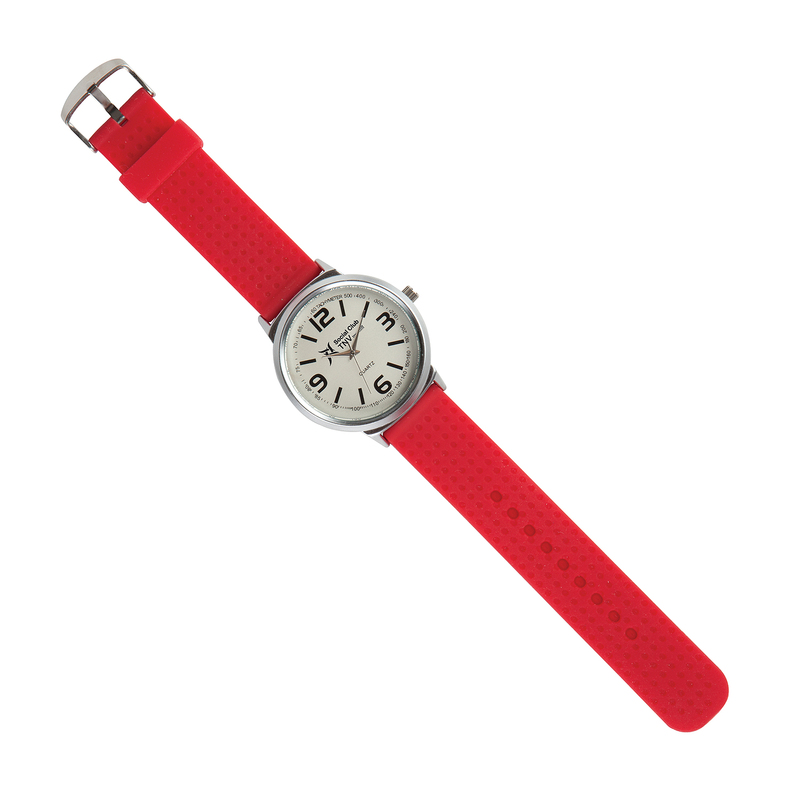 The bright red LED light illuminates the face to display functions including hour, minute, second, month and day. 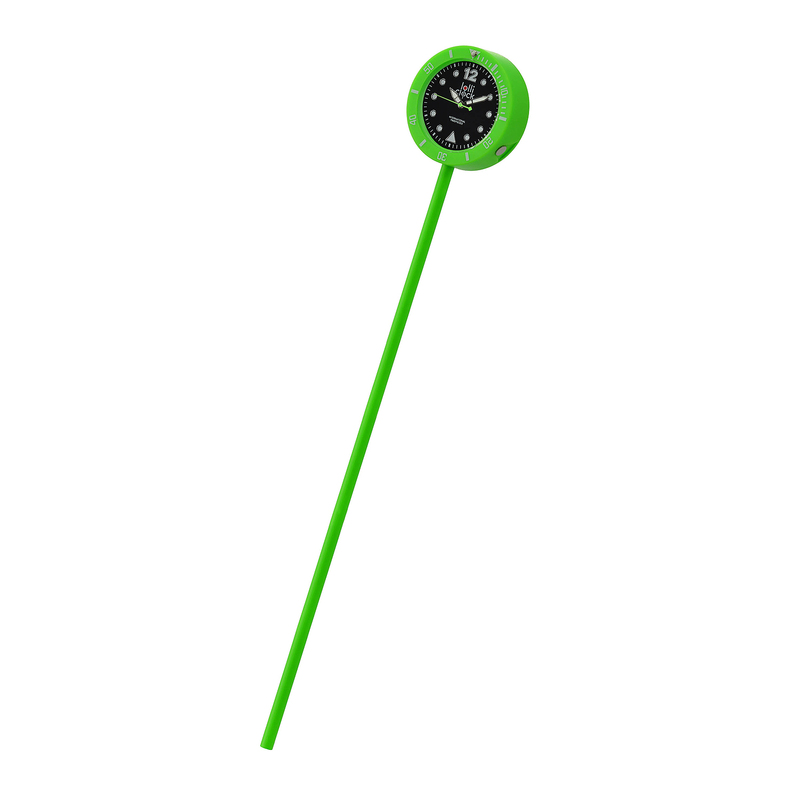 Features a black face, touch button to change functions, and silicone strap with double snap closure. 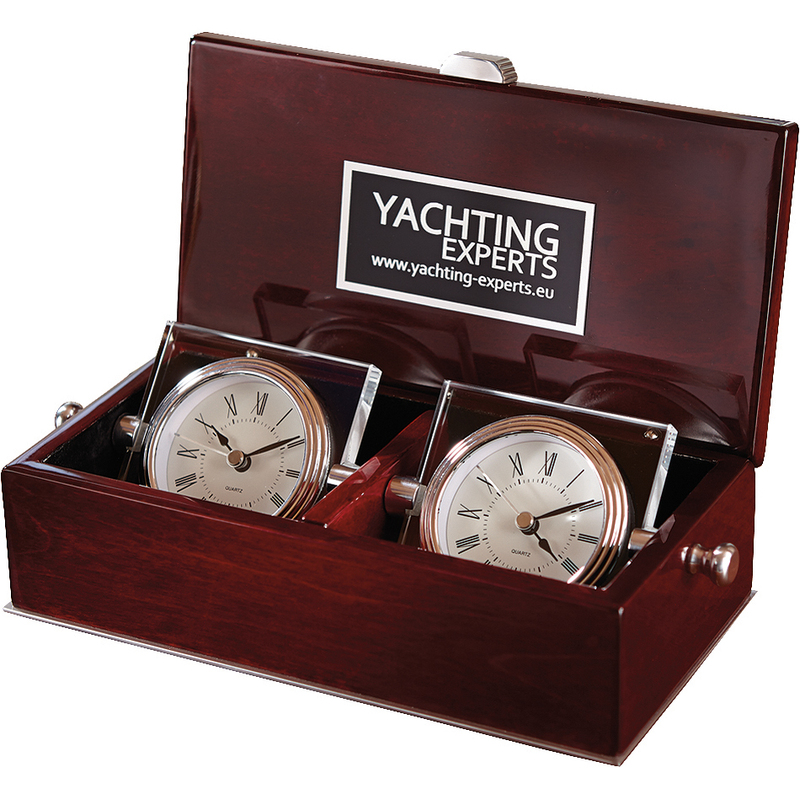 Start a time-honoured tradition of your own! 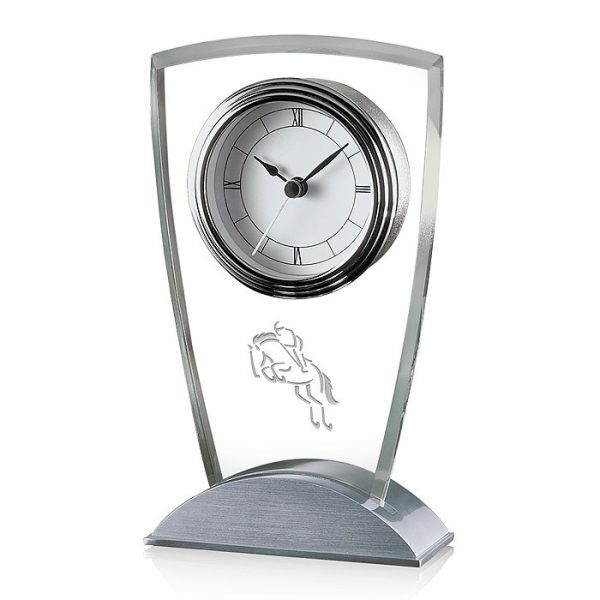 The Prominence quartz clock is designed with gimbaled movement with sleek PNP silver posts and a black piano wood base. Elegant Roman numerals and a second hand complete its display. 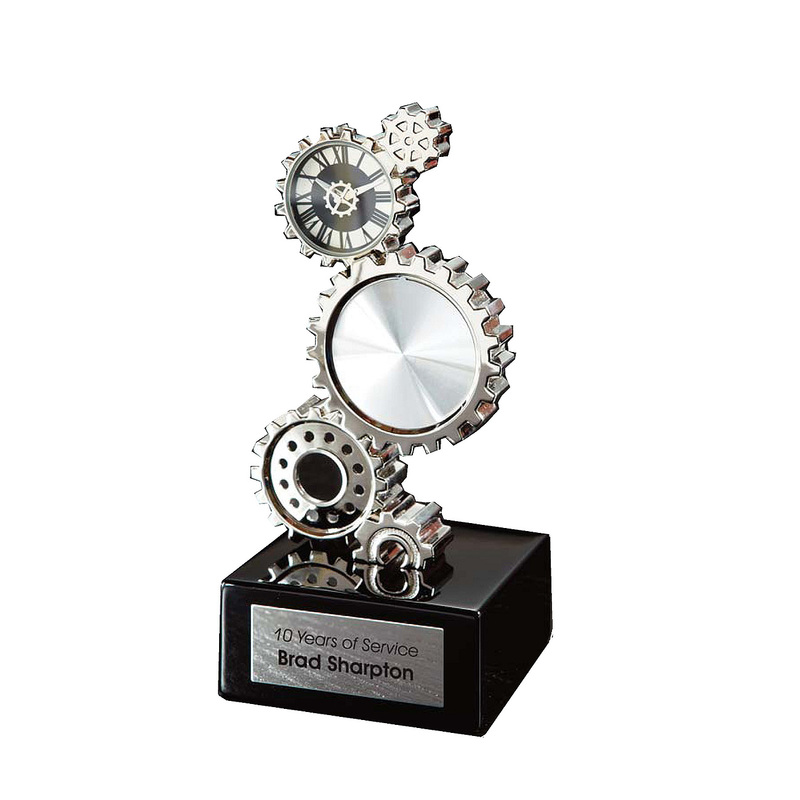 A handsome decoration for any setting, it makes an excellent gift or award. 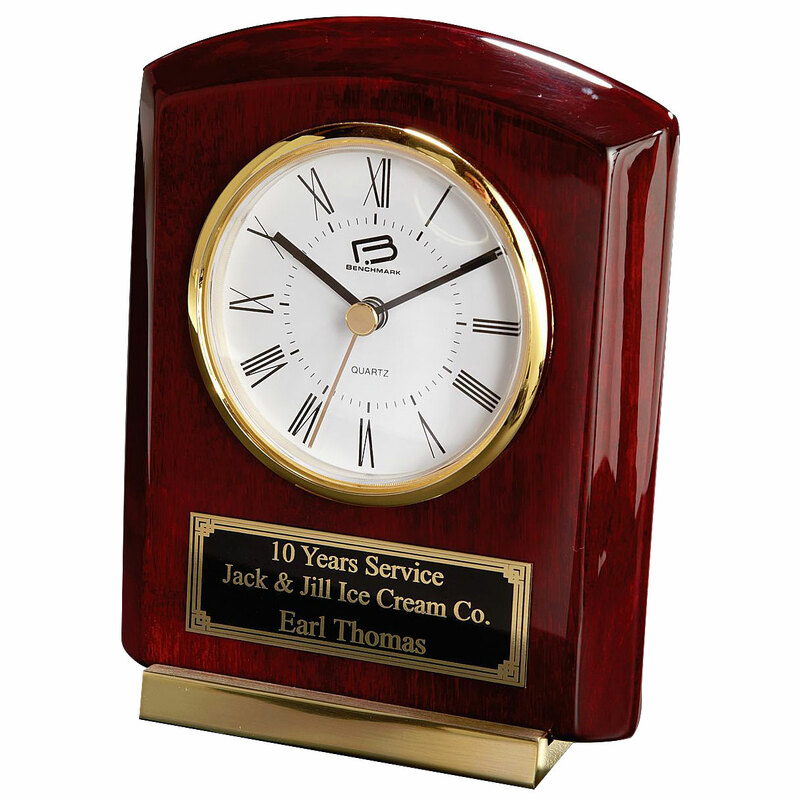 Time passes by quickly and your hard-working employees are due to be recognized! Award them with something special. 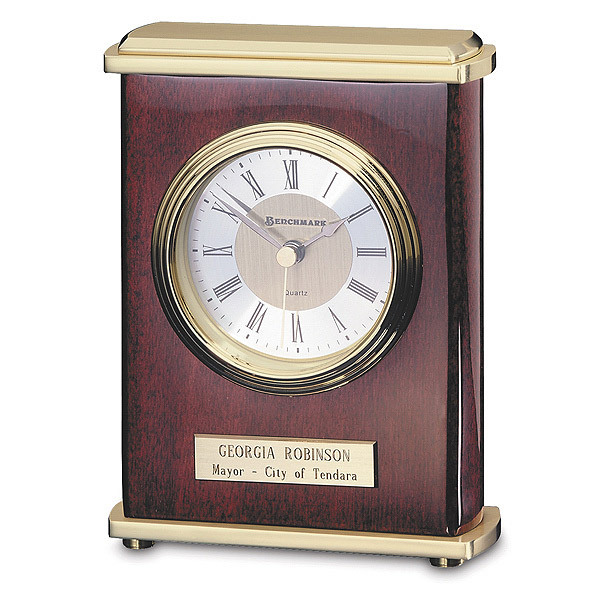 The Debutante Desk Clock is crafted out of solid Rosewood and features shining Brass appointments. Elegant Roman numerals and a second hand complete this display making it a beautiful decoration for any setting. Battery included. 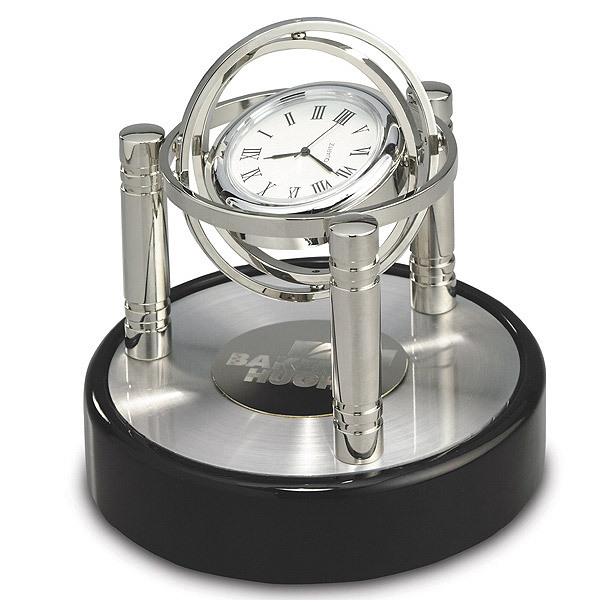 This clock is mechanically inspired modern art! Great for engineers, designers, or mechanics for special achievements, program graduations, excellence and more. 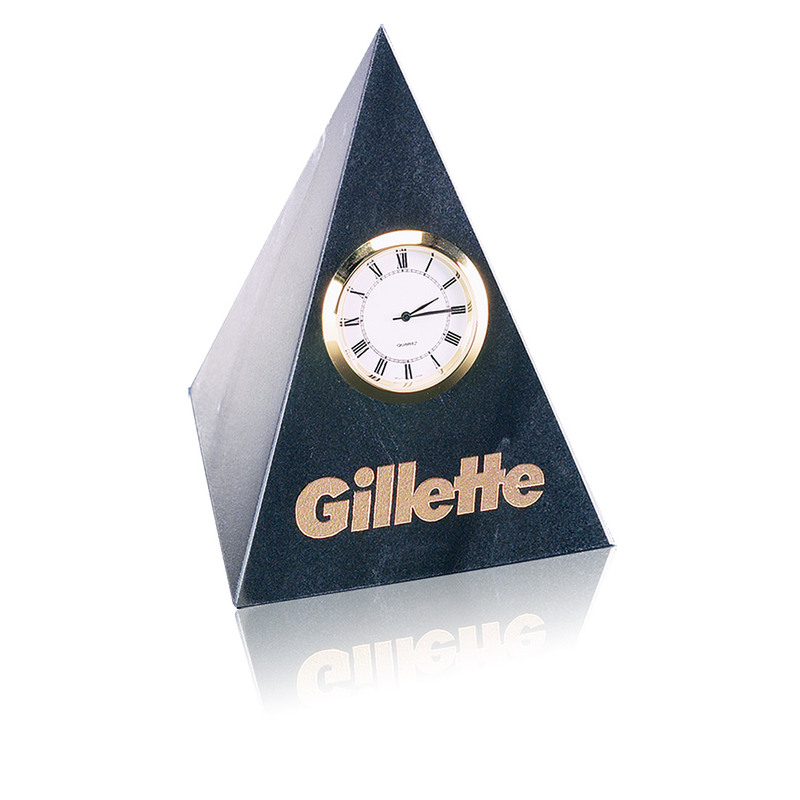 This award clock will stay on permanent display in the office or at home. Attention-grabbing, fashion forward timepieces to make an impact! The Madison Avenue fashion watch has a coloured rubberized wriststrap, large dial with unique numeral display and Citizen Metal movement.